First a massive big Aussie thank you to Sean and his team from My Ireland heritage tours. Sean’s love of his country and his vast knowledge of its history is incredible. Sean’s energy is amazing. 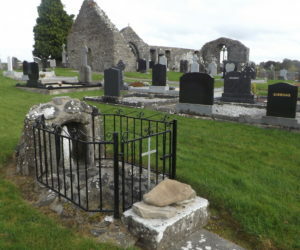 Kay Collins decided on a Tour in Ireland for ten days but always wished to see her Great ,Great Grandparents home and townland in the Area around Portumna, County Galway. All Kay knew was that he was a Heagney and was transported as a Convict in 1832 to the Colonies in Australia prior to the Great Famine. Kay recalls that it was always mentioned in Family Folklore that he was a “A White Boy” which was a secret agrarian organisation in 18th-century Ireland which used violent tactics to defend tenant farmer land rights for subsistence farming. Their name derives from the white smocks the members wore in their nightly raids. 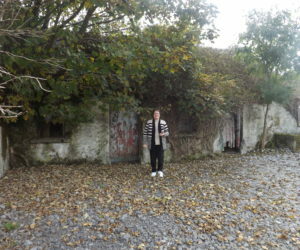 The My Ireland Team set about finding Mr Heagney and were extremely successful Kay visited all the Townland areas saw the Original Home which was now a new build and visited the Portumna Famine Museum a must when trying to learn about pre and post Famine Ireland. 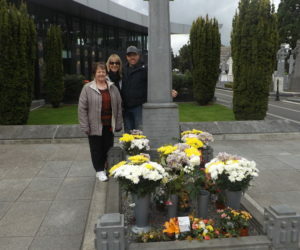 Kay surprised her son Michael with a special customised Genealogy Tour for his name sake Michael Collins, who fought for Irish Freedom in the War of Independence 1922 and died in the Civil war 1922.The Family were able to see all locations associated with Michael Collins in Dublin including his Graveside at Glasnevin Cemetery. For more see Kay and Michaels full Story on Trip Adviser.